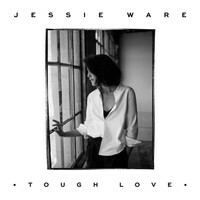 Nominated for Best British Female at this year’s BRITs, Jessie Ware has come a long way since the release of her debut Devotion back in 2012. Ahead of her US tour, we caught up with the British soul singer in New York to discuss second album Tough Love, her collaborations with Miguel and J Cole, and why she doesn’t do encores. Having had such a huge success with your debut, did you experience any nerves writing Tough Love? I didn’t. I wrote this LP whilst I was touring, and a few songs in-between. When it got to the actual thing of, “Right, you have to go to the studio and make that ‘difficult second album’,” I already had five songs that made the final cut, so it felt quite nice. The whole thing started back in January 2013 and it came together quite quickly, which was a big relief because I had found the experience of the first album scarier than this. Was there pressure to try to repeat that success, either in terms of critical acclaim or commercial performance? There is always a bit of pressure, because you want to do yourself justice and satisfy the fans. Fans were at the core of my thinking about the new album, because I wanted to create material for a live audience. There was a glass ceiling as to how much I could push Devotion live, because I had never had the experience before. This shouldn’t take away from the record at all by the way, but I struggled in order to make it sound bigger live. So, for this album, when I was writing songs like ‘Champagne Kisses’ and ‘Say You Love Me’ with a breakdown chorus, I felt convinced that I would satisfy the crowd. In five years I might be all about costume changes and flying in from a trapeze. Was there a vision to create something specific, musically? At first, I couldn’t believe I was given the chance to be in the studio again and produce new music. I challenged myself; I wanted to see how far I could take it without me feeling uncomfortable. The whole procedure made me more confident and that’s why I’m using more of my vocal range. So, the vision might have been a bit different, but I still wanted this to feel like a Jessie Ware record. How was it working with Miguel? Really special. You never know if you are going to work well with somebody in the studio, but ‘Kind Of... Sometimes... Maybe’ is definitely my best R&B song on the record. And it’s my husband’s favourite, too! I remember sending him a video from the studio. I just recorded a bit of it because I didn’t have the actual demo, so I sent this really crappy recording which he played in his car the whole time whilst I was away, and was just like “this song is amazing!”. We were a bit surprised when you recorded a new version of ‘Adorn’. You know what? Me, too! That song is perfect and I didn’t think it was necessary to provide additional vocals, but then I thought, “Hold on. What If I say ‘no’ and he asks someone else and then I regret it big time?” So I went ahead and did it. How different was the process with James Ford in the studio? It’s very different working with Brits compared to Americans, and I think I needed a bit of a balance because I’m a British artist. I wanted to team up with Brits as well as going to these euphoric and optimistic places that the Americans like to take you, which is wonderful. James is very relaxed and chilled out, and he can also pack a punch with his electronic style. Dev is more a mate I think, and I’m so happy that we got a song like ‘Want Your Feeling’ done. I’d been listening to loads of Daft Punk and Fleetwood Mac at the time, and then Dev said, “I’ve got this idea that had that [hums the melody].” The whole thing felt very collaborative but I’m so happy we got him on the record because he means a lot to me and I think he is ridiculously talented. It’s a very feel-good track. The Europeans like it more than the Americans. It’s funny when you observe different audiences’ reactions. You know when the Europeans really dig something. How do you feel about the American audience? Have you had any crazy fan moments? Can you tell us about the J Cole remix of ‘Kind Of... Sometimes... Maybe’ please? How did that come about? When I wrote that track in L.A., J Cole was in the studio downstairs, and Miguel – knowing him from doing ‘Power Trip’ together – was like, “I’m going to go and say hi to J Cole, do you want to come?” So I go downstairs and his whole crew were really nice, and they played us something and then they asked to listen to what I had just got up to. Thank God we had an amazing song! And he stood in the middle of the room, and he was like, “This is so good, this is amazing.” So then, when it got round to putting it online, I asked if he wanted to do something on it. You never know whether they’re going to say yes because they’re busy, but he did, and he made the song even raunchier. So I’ve got the raunchiest verse from J Cole and then I’ve got Miguel whispering. Crazy. So what can we find in the Jessie Ware vaults, in terms of unreleased material? Some really sh*t songs! (Laughs) I’ve got loads that I don’t know what to do with, so I’m going to work it out. Finally, we’ve seen you live quite a few times now, and it seems like you don’t do encores. Why? I don’t think I have enough material to do encores. The fact that you go off stage for ten minutes just so people can wear their hands out [clapping] I think is slightly over the top. But talk to me about it again in five years; I might be all about costume changes and flying in from a trapeze.